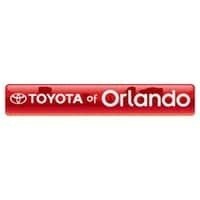 Toyota of Orlando is giving you the green light for savings! Have you been looking for a sign that it’s time to ditch your old ride and its too high payment and climb into the driver’s seat of something new? It can be daunting, we know – but we think your sign is here. The Green Light Sales Event has begun at Toyota of Orlando, and this means our best deals on new Toyotas and used cars will be waiting on our lot for a limited time. If there was ever a sign that you should take action, this is it – we’re giving you the green light to savings! But those deals aren’t all that are waiting for you at Toyota of Orlando during our Green Light Sales Event. You’ll also find amazing specials on the Toyota Tundra, Toyota C-HR, Toyota Sienna, and more. Plus, we’re open extended hours until 10pm every single night with extra sales staff on the floor to ensure you find the perfect new ride at a time that’s convenient for you! Don’t ignore the signs – they’re all pointing that you should hit the gas and get to Toyota of Orlando as soon as possible to take advantage of our new Toyota deals and used car specials before this sales event is long gone. What are you waiting for? Call us today to schedule your test drive at (407) 298-4500 – our internet sales team is ready to get you in the door. You can also swing by anytime to see us and check out the model of your choice! We’re conveniently located just off I-4 near the Millenia Mall at 3575 Vineland Road. 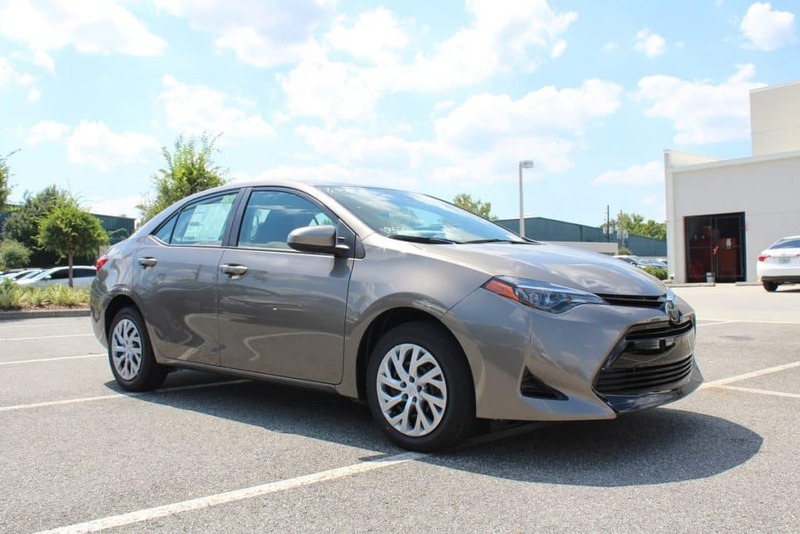 New 2019 Toyota Corolla LE (1852) (Stock # 9181043) “Advertised lease” for $149/mo. for 36 mos. plus sales tax, other taxes, tag registration, tag agency/electronic filing fee and government fees. $4,479.59 due at signing, includes $3,277.34 down payment, $798.50 dealer fee and $149 first month’s payment. Option to purchase at lease end $12,018.00. Excess mileage at $.18 per mile over 12,000 miles/year. Total Lease Payments of $5,364. $0 security deposit, $350 disposition fee at lease end. (Closed end lease on approved credit through S.E.T.F., min. 720 beacon score. Good through 04/30/19. 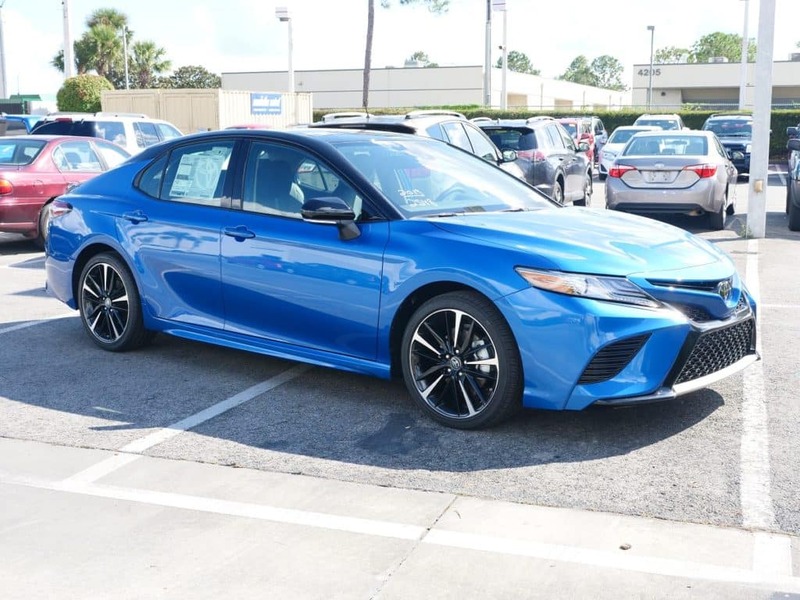 New 2019 Toyota Camry LE (2532) (Stock # 9250398) “Advertised lease” for $169/mo. for 36 mos. plus sales tax, other taxes, tag registration, tag agency/electronic filing fee and government fees. $5,786.49 due at signing, includes $4,564.24 down payment, $798.50 dealer fee and $169 first month’s payment. Option to purchase at lease end $15,651.90. Excess mileage at $.18 per mile over 12,000 miles/year. Total Lease Payments of $6,084. $0 security deposit, $350 disposition fee at lease end. (Closed end lease on approved credit through S.E.T.F., min. 720 beacon score. Good through 04/30/19. 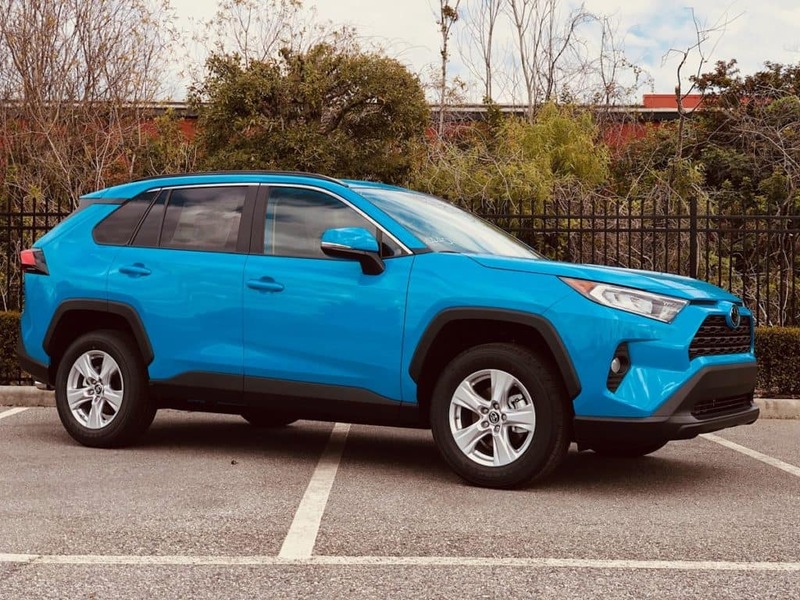 New 2019 Toyota RAV4 LE (4430) (Stock # 9440273) “Advertised lease” for $199/mo. for 48 mos. plus sales tax, other taxes, tag registration, tag agency/electronic filing fee and government fees. $5,087.03 due at signing, includes $3,939.58 down payment, $798.50 dealer fee and $199 first month’s payment. Option to purchase at lease end $18,546.50. Excess mileage at $.18 per mile over 12,000 miles/year. Total Lease Payments of $7,164. $0 security deposit, $350 disposition fee at lease end. (Closed end lease on approved credit through S.E.T.F., min. 720 beacon score. Good through 04/30/19. 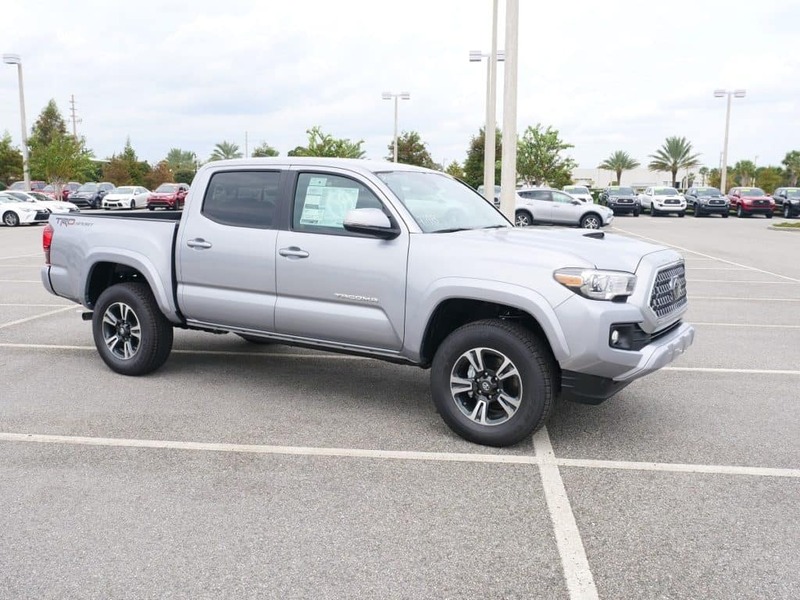 New 2019 Toyota Tacoma Dbl Cab V6 (7146) (Stock # 9710168) “Advertised lease” for $169/mo. for 36 mos. plus sales tax, other taxes, tag registration, tag agency/electronic filing fee and government fees. $5,628.77 due at signing, includes $4,353.52 down payment, $798.50 dealer fee and $169 first month’s payment. Option to purchase at lease end $26,708. Excess mileage at $.18 per mile over 12,000 miles/year. Total Lease Payments of $6,084. $0 security deposit, $350 disposition fee at lease end. (Closed end lease on approved credit through S.E.T.F., min. 720 beacon score. Good through 04/30/19. 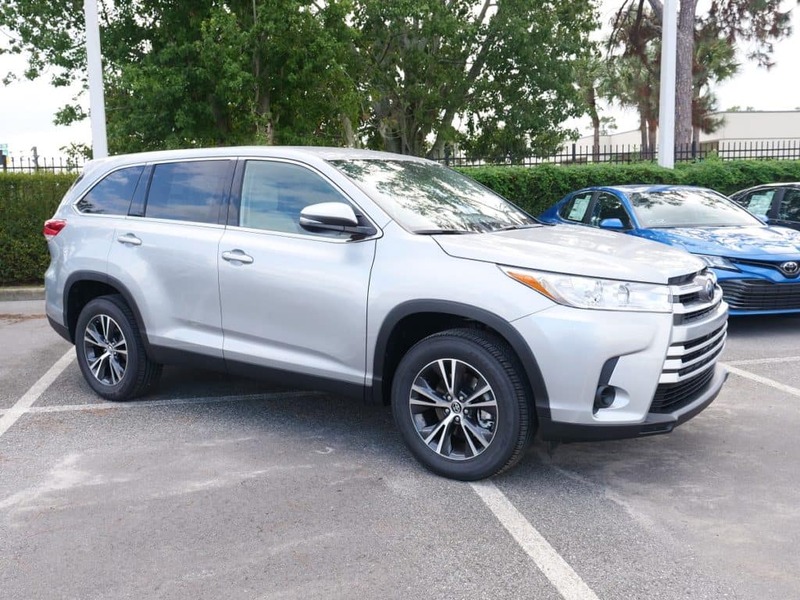 New 2019 Toyota Highlander LE Plus (6947) (Stock # 9690207) “Advertised lease” for $229/mo. for 36 mos. plus sales tax, other taxes, tag registration, tag agency/electronic filing fee and government fees. $6,938.19 due at signing, includes $5,634.94 down payment, $798.50 dealer fee and $229 first month’s payment. Option to purchase at lease end $25,333.40. Excess mileage at $.18 per mile over 12,000 miles/year. Total Lease Payments of $8,244. $0 security deposit, $350 disposition fee at lease end. (Closed end lease on approved credit through S.E.T.F., min. 720 beacon score. Good through 04/30/19. *All advertised vehicle prices exclude tax, tag, registration, title and includes Dealer Fee (*Service & handling fee of $798.50), *this charge represents costs and profits to the dealer for items such as inspecting, cleaning & adjusting vehicle and preparing documents related to the sale. Customers elect special APR program or S.E.T/Dealer cash back when available. Advertised prices are not applicable on lease vehicles. Advertised prices cannot be used in conjunction with special APR programs. Down payments and APRs will vary. All vehicles subject to prior sale. Prices good through 04/30/19. Negative equity on trades can affect savings/credit approvals. Pre-owned vehicles may be subject to factory recalls. Go to NHTSA’s website to search by VIN# at www.safercar.gov.